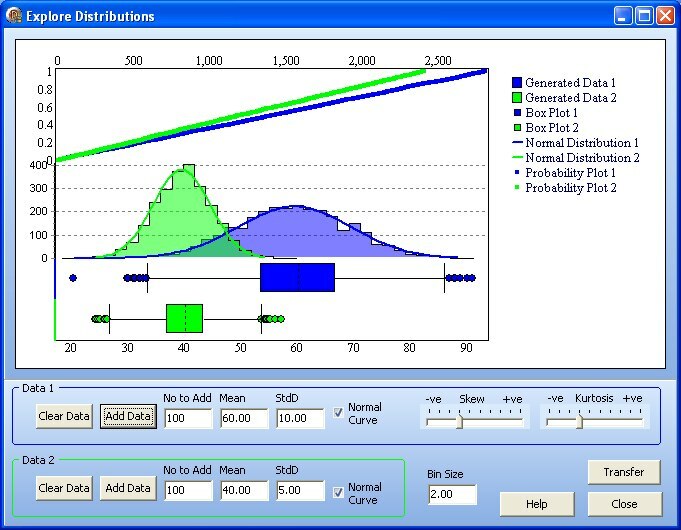 Create normal, skewed and kurtic distributions. Transfer simulated data sets to use in the main program to explore how distribution affects various analyses. See the effect of bin size and standard deviation on the shape of a curve. Combines generated data, normal distribution, probability plot and box & whisker plot to see how they inter-relate.